In the beginning was the Word (John 1:1)...Through both Jesus's incarnation and through the sacraments, the Word becomes flesh. This truth is so tangible, so powerfully evident, in the celebration of the Eucharist and the Rite of Marriage at a nuptial Mass. Words have power: the language of the Mass, and of a bride and groom's wedding vows, bring Love himself into our presence and very beings. So what better way to honor that profound communion than by making these words visually beautiful? Marisol Acosta, owner of Sea & Sun Calligraphy, translates the beauty of authentic love and sacramental marriage into something the eye can see. Her love for lettering began when Marisol first picked up a fountain pen in middle-school; years later, she began pursuing new calligraphy techniques and fell for the art a second time. Her portfolio with Sea & Sun, which includes everything from hand-lettered envelopes to reception details to bridal shower elements and beyond, is a wellspring of inspiration. 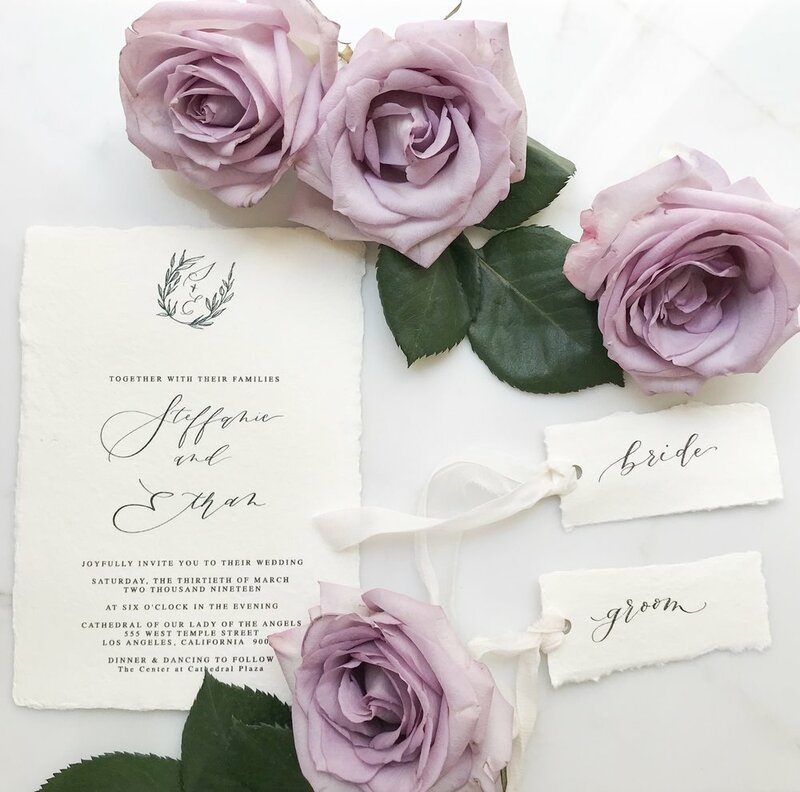 Sea & Sun's gorgeously lettered invitations and addressing, reception details, and bridal shower elements, along with dreamy watercolor art, invite Marisol's brides to think beyond typical calligraphed invitation suites. 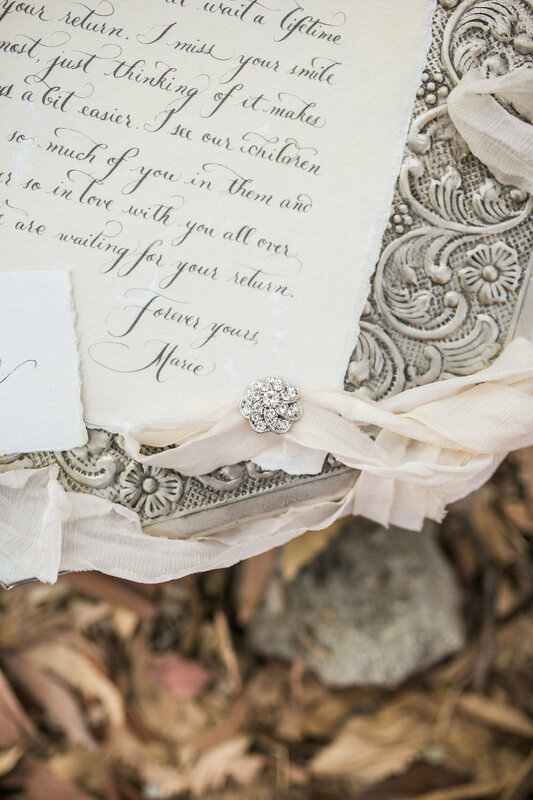 Extending hand lettering and artwork to other wedding elements helps create a unified wedding look, from guests' first time opening their invites in the mail to snapping pictures of the tablescapes at the reception. For brides local to Southern California who'd like to try their own hands at learning Sea & Sun's elegant, precise style, workshops are offered. From Marisol: Sea & Sun Calligraphy is a unique calligraphy service offering the finest detail of handwritten calligraphy designs for special events. I understand the sacredness of the sacraments, and love assisting you in adding an unforgettable touch of elegance to such lovely occasions. My advice to brides is that beginning a marriage deeply rooted in faith, along with the sacraments, and with the guidance of our Holy Mother Church, is what helps build strong and holy marriages.